Online Presence. Menu Design. Postcard Design. Optimal Times to Tweet. None of this existed when you entered the keywords displayed below. This was built and created for Pace University’s Computer Science Department. When you google “Pace Seidenberg”, you can control what appears, establish and create its existence into Google Maps, incorporate photos, contact information, and track all of these statistics easily. If you harness Google properly, the results it can yield you are incredible. I have done this for many businesses, this is just one of about 7 I have created. Note, all the photos you see I took with my phone. For Mint - a gourmet, award winning restaurant in Tarrytown, New York. 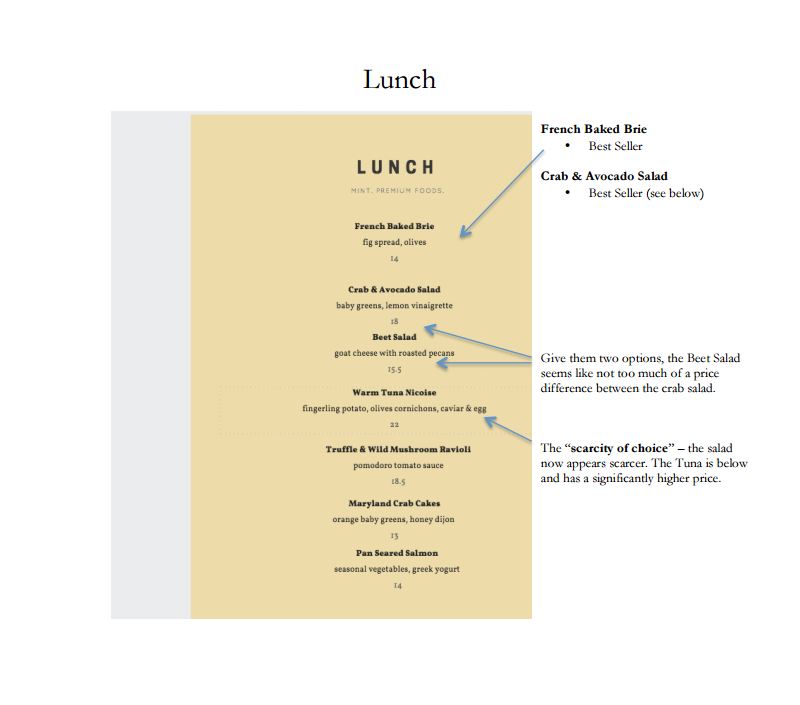 Designing a menu is both an art and science. This was a three panel menu and everything from the location, price, typography, and stock of paper were taken into consideration. Click below to see the rational and psychology behind every decision, such as the “Scarcity of Choice” principal. 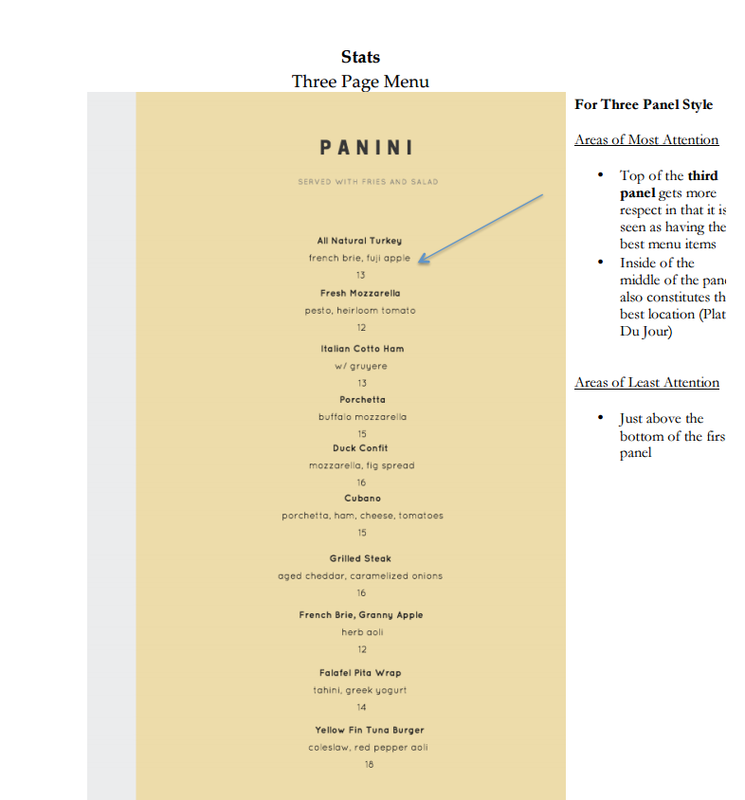 The next time you eat out, if you are given a three panel menu, look to the bottom left. You will most likely notice more ordinary items you can order anywhere. Think hamburger, sandwich, soup, etc. Statistically and scientifically speaking, it is the last place your eye scans when looking at menus. This is why many restaurants put them there. Most people typically look dead center, which is where you want your best selling item to be, then top left, top right, bottom right, and finally bottom left. This was a jumbo sized post-card I designed for Research & Design Landscape, LLC. It is an 8.5 x 11 postcard and no postage permit is needed. It costs only 16 cents per piece. Imagine getting something this big in your mailbox. Emphasis was deliberately placed on keeping the types of services open ended. Putting yourself in a box can be dangerous. Creating a sense of urgency and also specifying that all projects are accommodated, both big and small. Personal touch from the owner. People like to see or learn about who they may be calling. The latest edition of the DMA Response Rate Report states that direct mail offers “strong return on marketing investment,” with an average ROI of 15% to 17%. They also note that over-sized mailers, such as postcards, have the best response rates, at up to 4.25%, with a targeted mailing list. A staggering 70% of Americans say snail mail is more personal than the Internet. What time would you post on Tuesday's? Most people would assume the percentage of their respected followers should be reached when the most of them are online. However, what is not taken into account, is of those followers, what percentage of their followers are online? For example, Yonkers Partners In Education (YIPE) had 36% of their following base online at 12:00pm but their potential outreach was only 2.5 million. Only two hours later, with 34% of their followers online, their potential outreach skyrocketed to 8 million. What does that mean? Why percentages do not necessarily mean optimal times! Duane Reade follows YPIE and has a significant amount of clout. They were not online at 12:00pm but they were online at 2:00pm. So if Duane Reade comes across a tweet that YPIE posts, and they re-share that tweet, YPIE's exposure has drastically increased. This works especially well if you engineer a post that coincides with something that Duane Read does, sells, or promotes. Engineering posts for brands that are likely to pick up your messaging at optimal times is also very important. This illustrates two things. The first is that timing is critical to success. You never want to guess or hope when and how you can reach people. The second is learning to understand your market, message, and relevancy. If for example, Duane Reade followed YPIE just for the sake of doing so, it means nothing. It might look good on paper but the chances of them finding anything relevant YPIE might tweet are slim. If you cannot view the above PDF regarding YPIE, view the full report here.